Smarttouchads is an advertising and digital marketing agency that took it upon itself to make your business shine and stand out in a competitive market. Creating an online portal for your business is something that any business should do. In an age where everything you want, need and desire is available online, a wise business strategy is to go online and prove its presence through a responsive website that speaks the business language and is available at all times for consumers to benefit from. No matter the size of your project and no matter the budget you set, you can rely on Smarttouchads to customize smart solutions and digital marketing strategies that will put your organization ahead of the competition. Our agency provides integrated online solutions that deliver effective and quality websites. And because we believe that first impressions last, we pledge to get you results. From copywriting, SEO, web development to web designing and branding, our fully-equipped team of professionals will push themselves to deliver you the best and ultimate online business profile that suits your needs. Google's search algorithms change by the second and keeping an eye on these frequent changes requires a dedicated team of professionals. 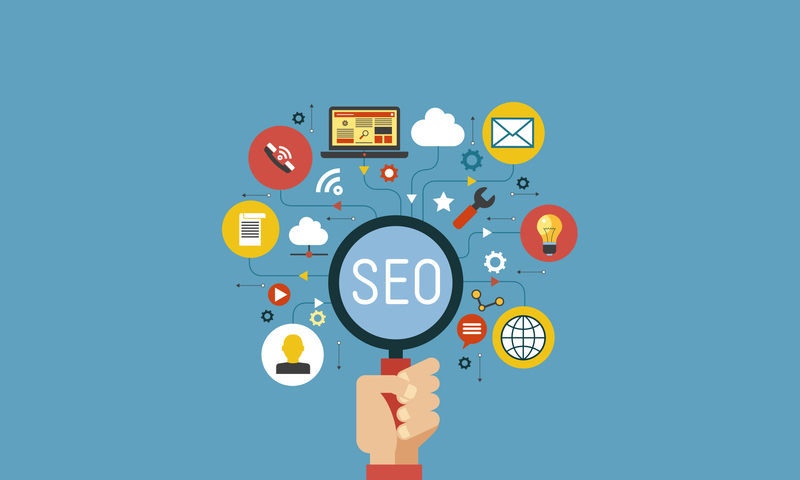 Using unpaid and paid Search Engine Optimization 'SEO' techniques; we guarantee your website will rank high on the search result page. And making sure your website is following all of Google's criteria from outbound linking, internal linking, ranking keywords, proper content length, and genuine content; rest assured your website will be ranked amongst the first search result page. And since the majority of users search via mobile, our company makes sure your website is mobile-friendly. That's not all, as Smart Touch will also take care of the off page factors that Google looks for when ranking websites on its result page such as the number of linking domains, the number of linking pages, domain authority of linking page and other irreplaceable factors if you wish to be Google's number one. Driven by the fact that humans have shorter attention span than goldfish, online content is just not like any other content. Here at Smarttouchads Agency, we pay a great deal of attention to the quality of your website's content, novelty, clarity and ability to answer all consumers inquiries. Delivering an attractive, relevant, valuable and above all engaging content that is also consistent is what a good content marketing strategy should be targeting. No matter the size of your business, a well-executed content marketing plan is enough to get your business to its target. Through an extensive analysis and study to your business goals, strategy and target audience, our expert team of copywriters will customize the perfect content marketing strategy that goes with your business objectives and lastly drive profitable customer action. Because we know how important a website is to your business, at Smarttouchads we make sure it becomes the central hub of all of your marketing efforts. With an easy to use Content Management System (CMS) as well as an interface that offers front-end users an exceptional online experience through functional user experience designs that provide an easy access and usability to the website, we promise your website will produce a positive interaction between the users and the product. Through using designs that guarantee your digital marketing goals are recognized, our experienced team of web designers and developers will work on developing numerous and functional design concepts for you to choose from.